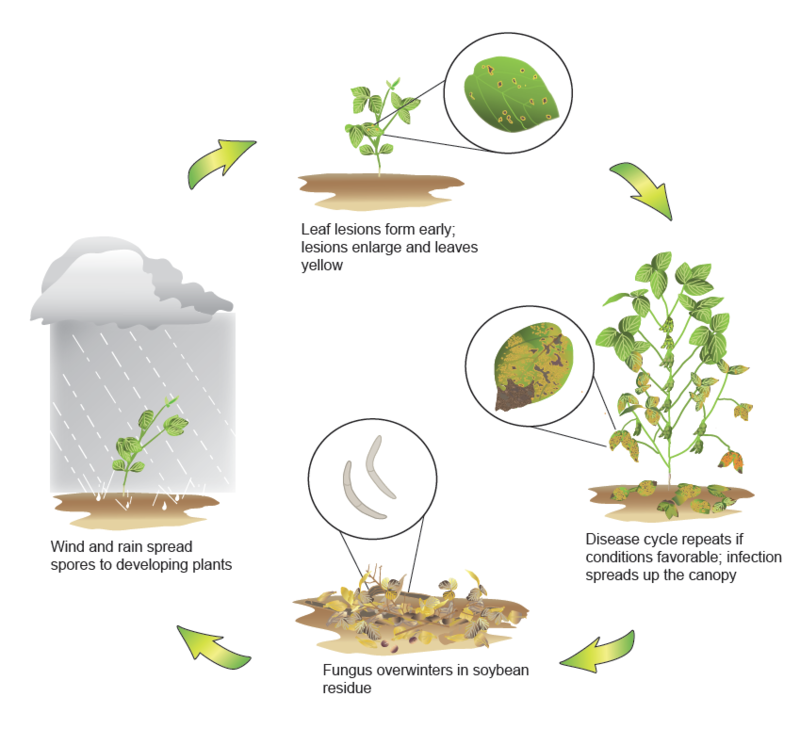 Septoria brown spot disease cycle. The fungus survives on infected leaf and stem residue. 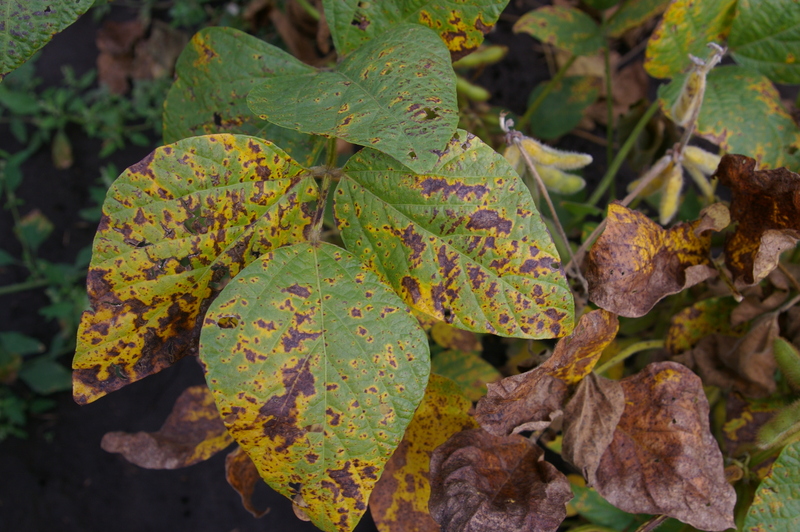 Warm, wet weather favors disease development. 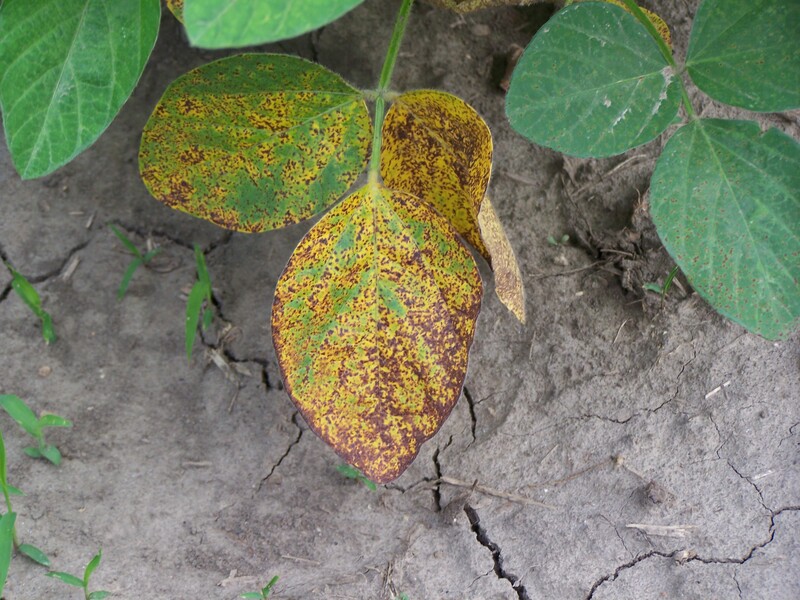 Disease usually stops developing during hot, dry weather but may become active again near maturity or when conditions are more favorable. 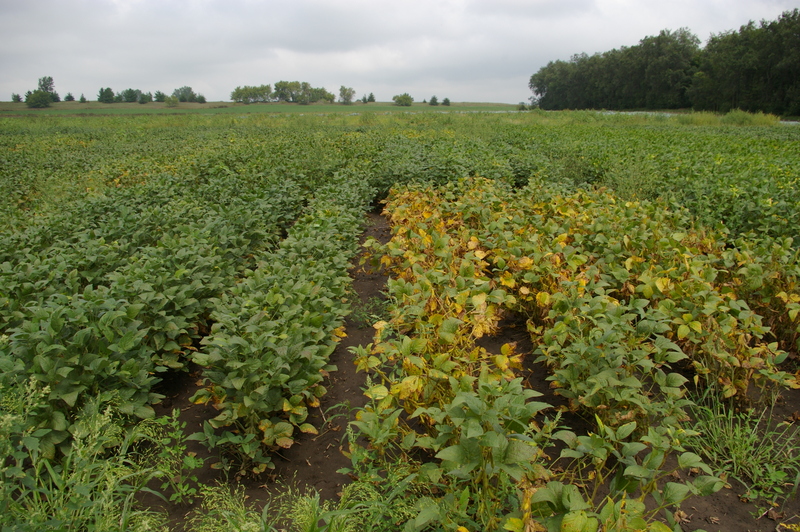 There are no known sources of resistance, but differences in susceptibility occur among soybean varieties. 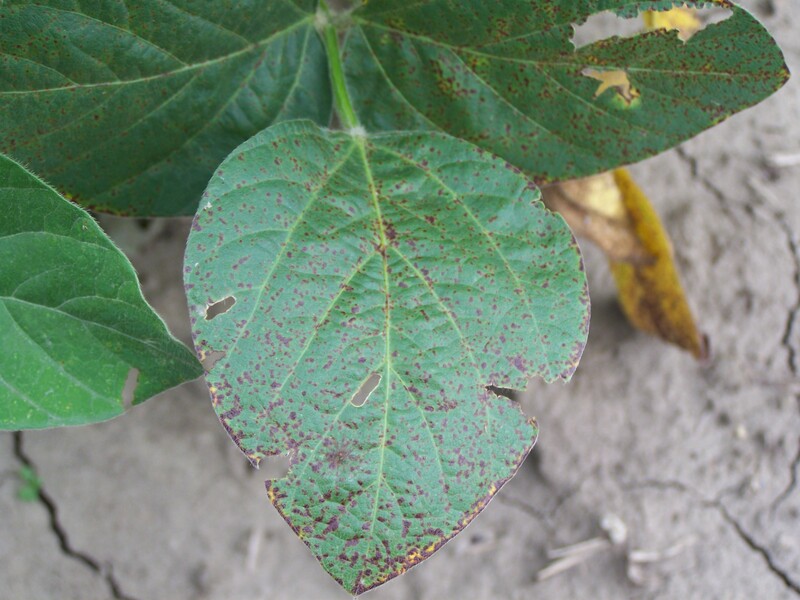 The host range of the pathogen includes some other legume species and common weeds such as velvetleaf. 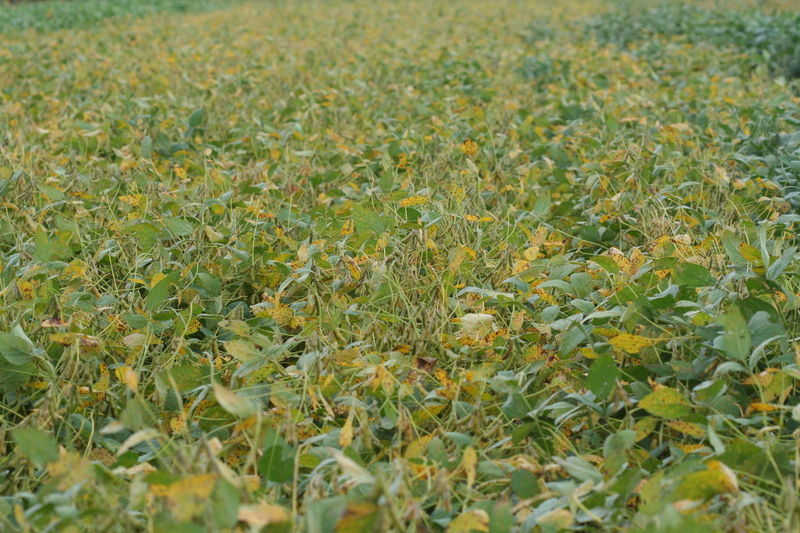 Rotation to non-host crops such as alfalfa, corn, and small grains and incorporation of infested crop residue into the soil will reduce survival of S. glycines. Foliar fungicides labeled for Septoria brown spot control are available. 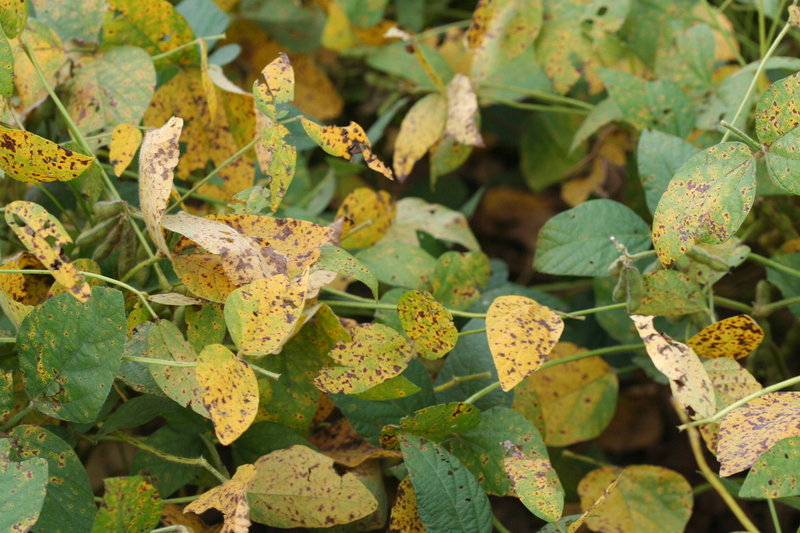 Applications made during R3 through R5 soybean growth stages may slow the rate of disease development into the middle and upper canopy and protect yield. Septoria brown spot causes leaves to turn yellow and drop. Early symptoms of Septoria brown spot. Unifoliate leaf with Septoria brown spot lesions. Septoria brown spot lesions beginning to grow together. 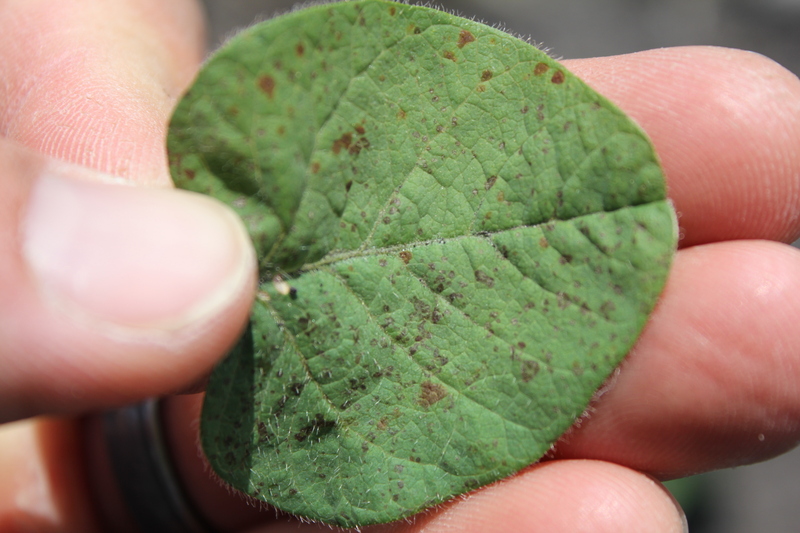 Early symptoms of Septoria brown spot on unifoliate leaf. Yield losses depend on how far up the canopy Septoria brown spot lesions progress. 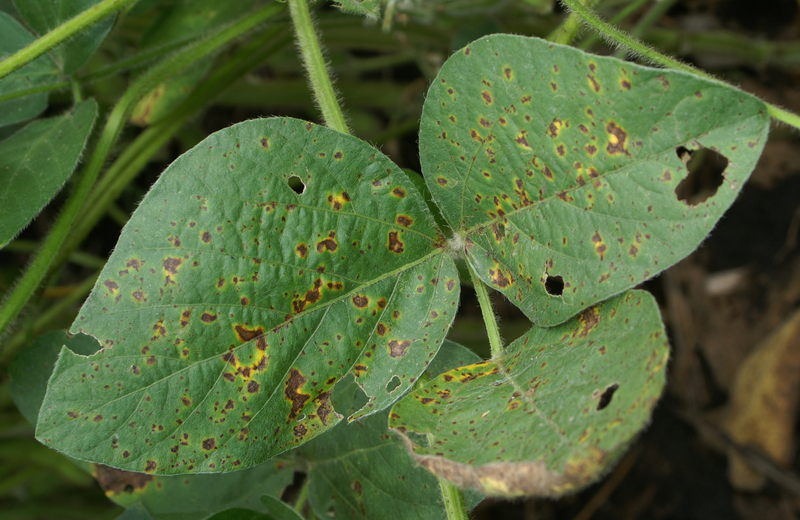 Septoria brown spot lesions on soybean leaves. 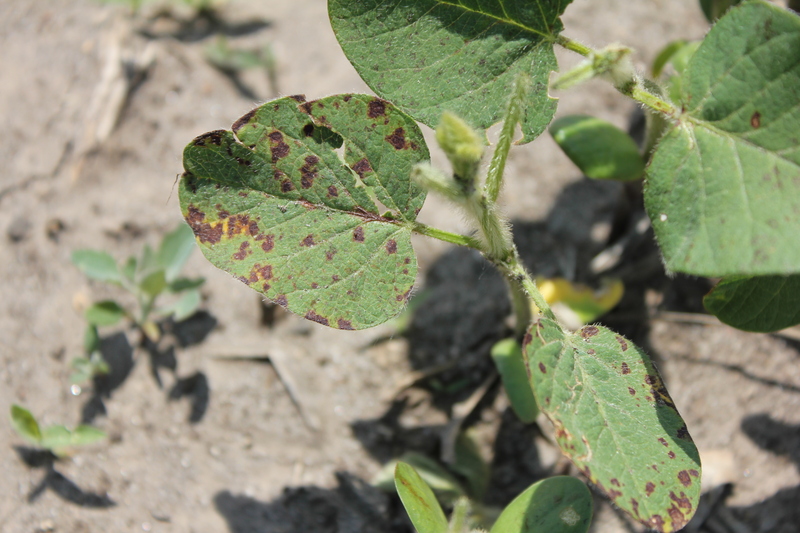 Soybean varieties differ in susceptibility to Septoria brown spot. Septoria brown spot lesions can grow together and form large, irregular blotches on leaves.